Many people don't know about the life-saving potential of V2V (vehicle to vehicle), a wifi and GPS-based technology that allows cars to communicate with each other and with traffic signals. Oakland County hopes to change that for its residents – and find out if they'd be willing to pay for it. The county has hired P3Mobility to conduct education and outreach to teach people about V2V and get their response to different ways a public-private partnership could raise money to pay for it. 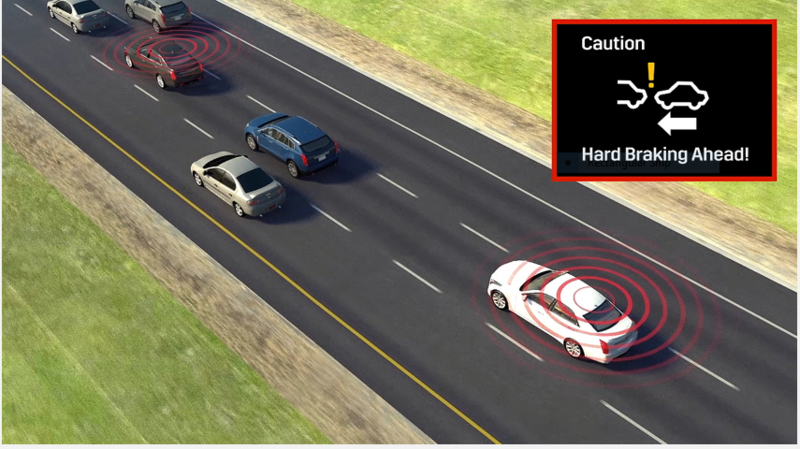 Cars equipped with V2V can warn drivers that they're about to run a red light, or give them advance warning when a car on the highway has slammed on its brakes, even when that car is a couple cars ahead on the roadway. Erin Milligan is CEO of P-3 Mobility, which will do education and outreach for the county. "I think the Oakland County project could pave the way for something to happen quickly in many locations throughout North America," says Milligan. A federal mandate for V2V would certainly speed things along, but experts say the mandate has languished in both the Obama and Trump administrations. Toyota announced last month it will be the first to install V2V in most of its cars, by the mid 2020s. V2V is already on Michigan roads. USDOT wants it in all our cars. The U.S. Department of Transportation has issued a proposed rule that would require vehicle-to-vehicle technology, or V2V, to be standard on all cars. There's a 90-day public comment on the proposal. V2V technology allows cars to send wi-fi signals to each other, and another feature, automatic braking –which U.S. automakers have already voluntarily agreed to make standard – prevents crashes based on the signals.